In the spirit of promoting community voices, we’ve obtained a copy of the submitted 510 text, written by ACCDAN that we’d like to share with you. 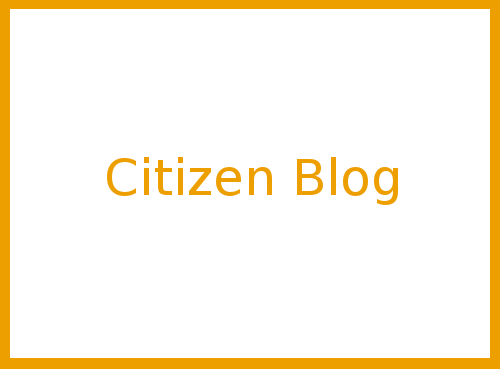 Read on to see why these citizens think the COGCC should deny these permits. Adams County Communities for Drilling Accountability Now (ACCDAN) is a bi-partisan certified federal non-profit organization representing more than 500 supporters from within Adams County, including supporters from the neighborhoods in Adams County most directly impacted by Extraction’s plans for four proposed pads (Northwest A and B and Interchange A & B) located in Broomfield. The vast majority of surface owners impacted by these proposed locations reside in unincorporated Adams County and therefore had no direct local representation in the Broomfield public process regarding these proposed pads as the drilling sites are located in Broomfield jurisdiction. ACCDAN would like to bring the following key points to the attention of the Colorado Oil and Gas Conservation Commission for its consideration in rejecting all three location assessment permit applications. 2) Extraction’s proposed pad plan takes the previous plan for two pads (United and Huron) with only seven (7) impacted homes (none of which were located closer than the state requirement of 500 feet) and divides them into four pads located proximate to neighborhoods comprising more than 150 homes. In our opinion, this relocation of pads was most likely driven by the influence of desires to protect future development in Broomfield over the rights of current residential developments in unincorporated Adams County. In our opinion, Extraction created four pads to 1) shoehorn them into the very tight areas of buffer zone protected Open Space located between neighborhoods and the Northwest Parkway, 2) to circumvent Broomfield’s requirement that pads with more than 18 wells must be 1,320 feet from existing homes; 3) to reduce its own development costs, and 4) to yield to the influences to protect future Broomfield development. Extraction’s decentralization and division of well pads into multiple locations flies in the face of COGCC guidance which encourages the consolidation of well site locations to minimize impacts on the community. This is a blatant attempt to skirt requirements. The Interchange A and B and Northwest A and B are essentially one pad each and should be treated as such both under Broomfield regulation and for COGCC permitting. 3) Extraction has indicated in its siting rationale that it conducted an alternative site analysis and that its plans are consistent with the site analysis conducted by the Broomfield citizens group. However, it is important for the Commission to know that the current requested pad locations Interchange A&B and Northwest A and B were NOT PART OF ANY ALTERNATE SITE ANALYSIS. In fact, no locations south of the Northwest Parkway and between Zuni and I-25 were considered in any of the site analyses conducted. 4) The 1.5-mile haul road that Extraction plans to construct runs from the south end of the Interchange pads through the Broomfield buffer zone open space to the Northwest pads and then crosses Zuni Street to the Sheridan Parkway. This creates an unnecessarily large and long disturbed area increasing the impact to the adjacent homes for years. This haul road will be used for incoming and outgoing traffic for 49 wells. This is not a “short” access road to the well pad but rather the creation of a completely new transportation infrastructure that spans nearly 2 miles and its specific and sole use is for the oil and gas operations taking place at these pads. We urge COGCC to recognize this road as a “disturbed” area under COGCC regulations and definitions in COGCC 100-7 as well as its LUMA requirements and designate these pad locations as Large Urban Mitigation Areas (LUMAs) under COGCC regulations. 1) Deny these three location assessment permits as submitted. 2) Require and or/conduct an independent, transparent, and official Alternate Site Analysis that includes all previously proposed pad locations and the current proposed pad locations as well as any others as recommended by the City of Broomfield and Adams County. 3) Require a CDPHE evaluation of all Extraction proposed sites adjacent to Adams County due to their LUMA and LUMA-like characteristics based on the expansiveness and duration of the disturbed area. 4) Designate Interchange A&B and Northwest A&B as LUMAs such that for any permitting action for these sites they would have to follow all LUMA requirements. 5) Modify COGCC regulations to give adjacent local jurisdictions standing in COGCC permitting and proceedings when their residents are the most directly impacted by the actions of an adjacent jurisdiction. The latest Extraction plan for oil and gas remains the most atrocious affront against neighborhoods of any current oil and gas project in the entire north metro area. 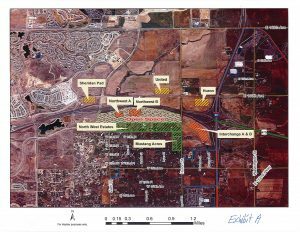 This plan places 49 wells closer to homes than the original Extraction proposal unveiled in February 2017 at the Broomfield First Bank Center – former COGCC Director Lepore was present at this meeting and was complementary of the original Extraction plan. For absolute clarity, we are asking COGCC to deny all three location assessment permits and require Extraction to relocate Interchange A & B and Northwest A & B pads to more suitable locations to the north of the Northwest Parkway.